2In an effort to improve our clients’ experience, Keane’s Reporting Team has begun implementing enhancements to its internal technology. In the past, the primary technical focus was geared toward Compliance, Due Diligence, and State deliverables, such as NAUPA Files, Cover Sheets, and Remittances. As state statutes, due diligence guidelines, and delivery requirements have changed, our Compliance, Reporting, and IT teams have been tasked with reviewing, testing, and executing changes quickly and efficiently. Rather than take multiple steps to update our systems accordingly, Keane developed a platform designed to be nimble and flexible in making changes to state reporting requirements.  The Keane Unclaimed Property System (KUPS) is home grown and capable of handling a tremendous volume of escheatable property across all of our clients, keeping in mind that Keane reported and remitted over 14,000 state reports in 2018. Features of the KUPS platform will focus on centralizing client data, tracking each stage in the reporting cycle, and providing clients with an online dashboard of important information and items requiring their attention. Centralizing the data will allow us to produce statistical analysis by various categories for our clients and ourselves. Doing so will also enable us to provide duplicate copies of reports or historical reports to support an audit much more quickly. KUPS will track each stage of the reporting cycle to give clients visibility into their progress. The tracked stages will also drive a workflow detailing the client’s completed and upcoming tasks and deliverables. As we continue working to reduce risk, eliminate client exposure, and minimize errors, our efforts will also include collapsing select standalone processes into the new system. With the support of Keane’s Data and IT teams, our Compliance and Reporting groups have been working diligently to ensure our new system is launched by the target date. A soft launch is scheduled for Fall 2019, and a full KUPS launch is slated for Spring 2020. We are eager to roll out the enhancements to Keane’s annual reporting process, and we are confident our clients will appreciate the new experience.